You can have a wonderful time making up this picture folder, either with a friend or by yourself. Paste 6 or 8 sheets of paper together, end to end, the long way. The picture above shows you how to do this. This will make a very long strip of paper. 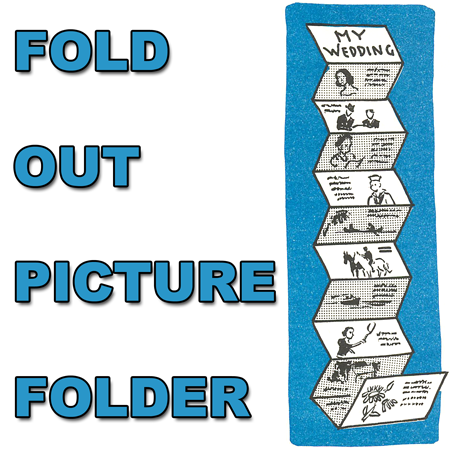 Fold this, accordion fashion, leaving about 4 inches between each fold, so that you will have 12 to 16 spaces. 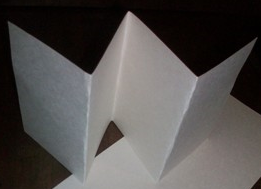 To fold accordion style, you fold forward then backwards, forwards, then backwards…see the picture above. Now choose whether you want to make this with family or friend photos to give to a loved one or friend as a gift or whether you want to make this a fun, fictional, made up comic book or story. Now just paste special pictures or photos on to each page. The Fun Part is Making Clever or Funny Captions. Make sure that it is okay to use special photos on this photograph project. ASK YOUR MOM OR DAD FIRST!!!! A picture folder is going to be made. The first thing you must do is choose a subject. Let’s suppose that the idea you’re going to work on is “My Life as a Movie Star.” Cut out appropriate pictures for your subject from old magazines. Then paste these pictures on the accordion folder, one picture on a square. You print a title on the folder for each picture. 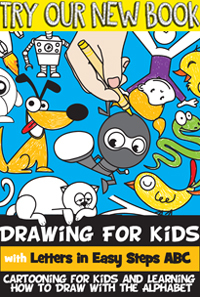 This will be loads of fun because you will be creating a story. For example, if you decide on “My Life as a Movie Star,” the first picture might be that of a crying baby. It could be entitled “How I looked when I first went into the movies.” The next picture could be that of an older baby in a carriage, which you might call “When I won first prize in the Atlantic City Baby Parade.” In this way, you follow the subject through the years with a picture pasted on each space of your Accordion Folder. Of course, you can use both sides of your folder, as shown in the picture. It’s great fun to make up a humorous folder. Cut out comic pictures and give them humorous titles. For instance, you might entitle a picture “My Student Days at State College,” the picture being that of someone sleeping deeply, apparently snoring loudly. If you made up a whole folder of this type, you could display it at a party. Your friends will have great fun reading it. They, very likely, will start making up folders themselves as soon as possible, and you’ll be starting a very enjoyable fad. simple and easy …..if got other art n craft please update. because it easy for other teachers and student’s who studying in early childhood. thank you very much. gbu. It was soooooooooo super easy to make, my 2 year old made it and i didint even read the directions to her!!!!! why such exaggerated comments by Shelbi???? alsome and i did it with my two babies so i hope everybody loves this website. omg that isd such a good idea but i thought just thought to use staples instead?!?!?! Sure…How did it turn out? but it’s to simple to do! I am going to make a “get well” card for my best friend who broke his leg! it worked gr8. Great present for my BFF. this is such a cool craft!!!!!! I am an aid for my cousin’s daisy troop and this was a cool craft that I made for them!!!!!!!!!!!!!!!!!!!!! !